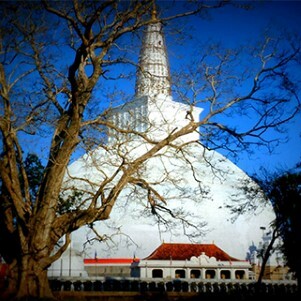 Polonnaruwa was established as the capital after Anuradhapura had been invaded in the late 10th century. 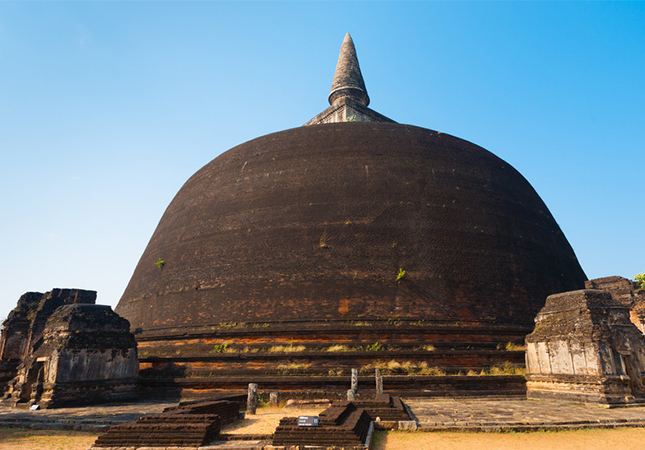 Under King Parakramabu, who ruled in the late 11th century, Polonnaruwa became a magnificent walled city. 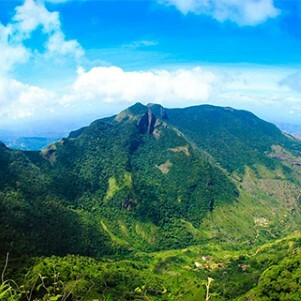 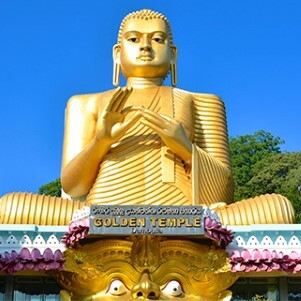 He built the vast reservoir, Parakrama Samudra (the Sea of Parakrama) still in use today, and ordered the construction of monasteries, temples, palaces, bathing pools and Buddhist statues, all set in a forested park surrounded by moats. 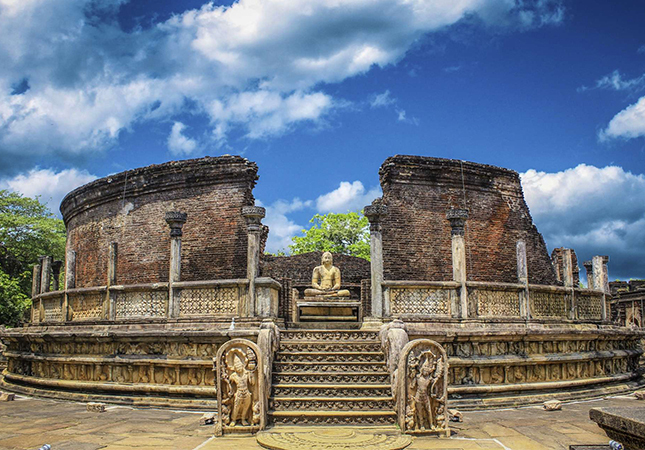 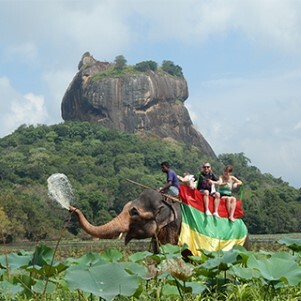 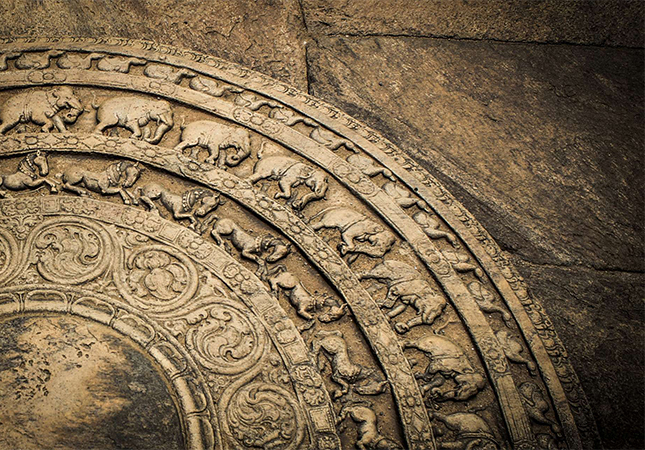 The remains of Polonnaruwa are so numerous that only a few highlights can be mentioned. 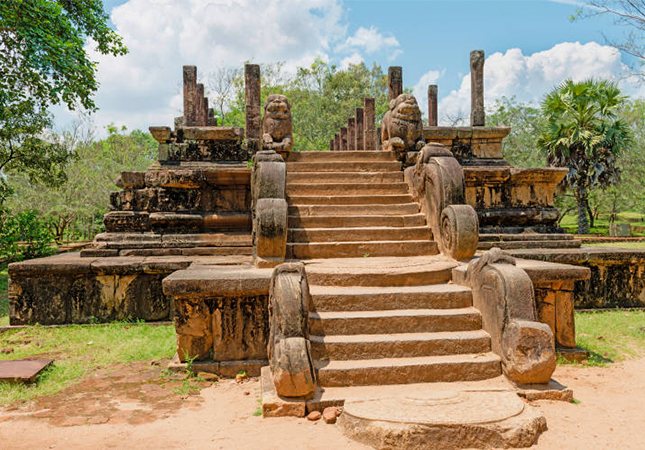 One of the most striking of the many sites is Polonnaruwa’s Gal Vihara or Rock Shrine, the reclining Lord Buddha is near another statue showing him seated in deep meditation, his throne adorned with lions and thunderbolts. 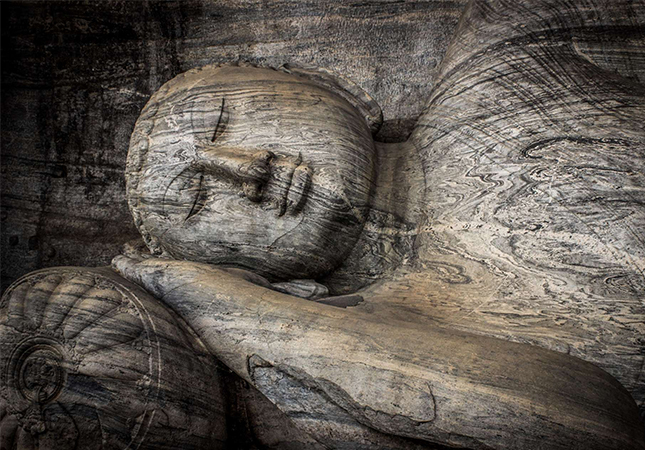 A second seated Lord Buddha, surrounded by other deities including Brahma and Vishnu, is set within a cave cut into the rock face that still bears traces of the frescoes which once decorated the walls. 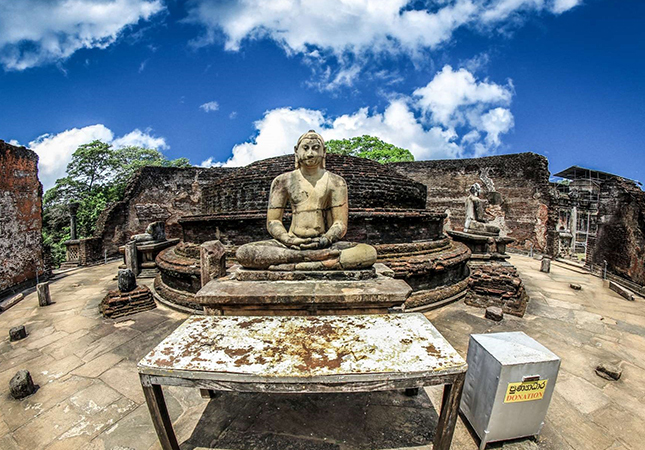 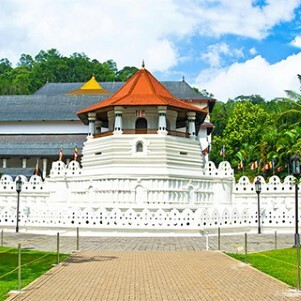 The fourth Gal Vihara statue departs from the conventional poses by depicting the Lord Buddha as a seven-metre tall standing figure with arms crossed. 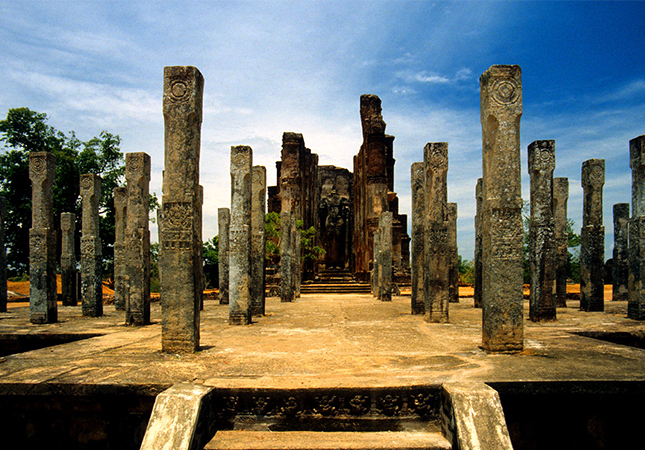 While these statues are regarded as masterpieces of Sri Lankan art, other remarkable carvings include a 4-metre-high bearded figure (probably King Parakramabu) holding what seems to be a book. 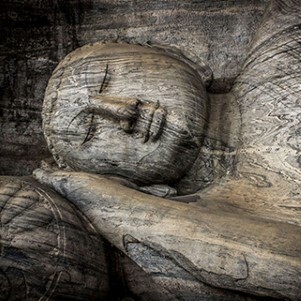 Another dramatic work is an inscribed stone “book” 9 metres long and around 50 centimetres thick. 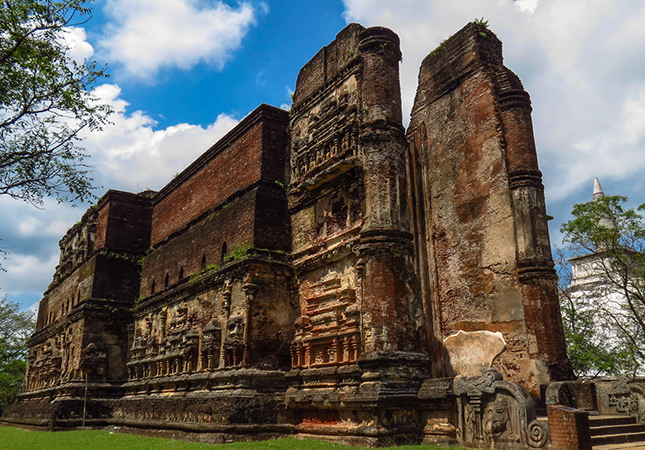 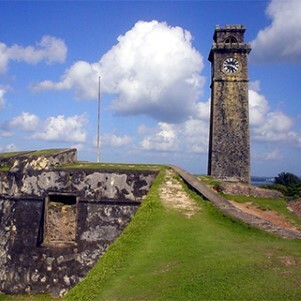 The Quadrangle, with 12 superb buildings standing on a platform in the centre of the ancient city, and the Lankatilleke image house, a vast brick building with a standing Buddha at the rear, are also among the many magnificent remains.